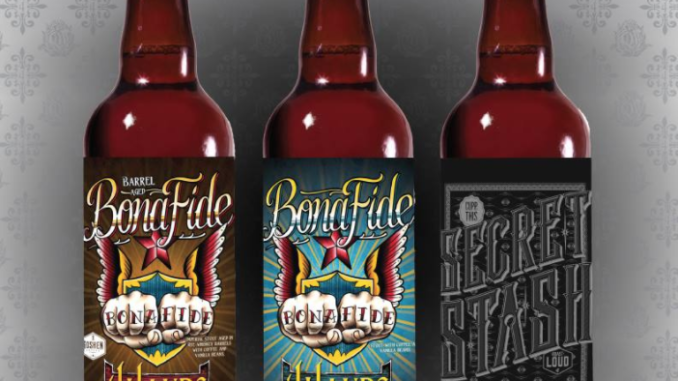 4 Hands Brewing Company‎ Bona Fide TRIO Release! There are some big releases coming up in December, but none bigger than the 2017 release of 4 Hands Brewing Company’s seasonal imperial stout, Bona Fide. 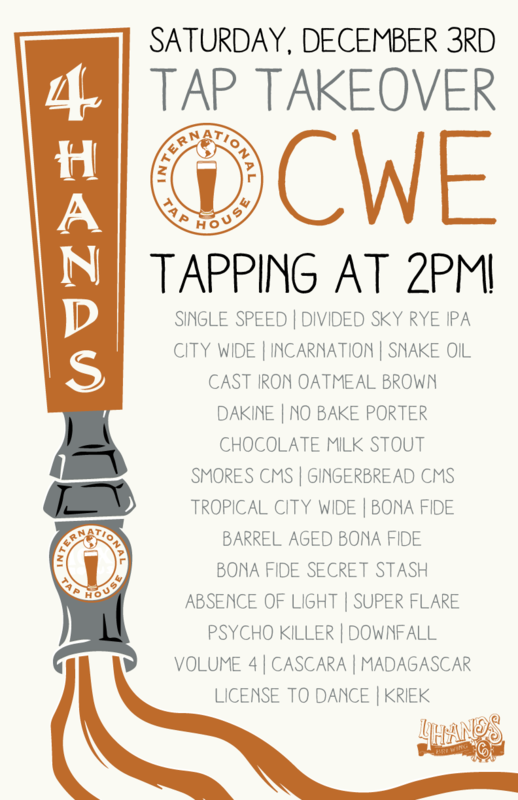 And this year, 4 Hands is making it a trio, releasing to variants into the mix. Bona Fide is a collaborative effort with Goshen Coffee, a local fair trade coffee roaster. This beer is a big, bold beer, clocking in at 9% ABV | 65 IBU. Pours black as night and bring it all home with a perfected blend of expresso, dark chocolate with hints of vanilla. While Bona Fide itself remains a fan favorite, it could be it’s new cousins that could make some memories around town. Barrel Aged Bona Fide is aged in Templeton whisky barrels with Madagascar vanilla beans and a single origin fully washed Peruvian coffee. Also, making its first out-of-the-tap-room debut is No Bake. This is a robust Porter with vanilla beans. Up until this takeover it has ONLY been available on tap in the tasting room. Sales begin at noon and will be sold in a 4 bottle branded bag containing ($60): 2 Barrel Aged Bona Fides, 1 BonaFide & 1 Secret Stash BonaFide. * Bottles of BonaFide & Secret Stash BonaFide will be available for individual purchase ($10). All variants will be on draft and Goshen Coffee Company will be there serving pour overs and will have beans available for purchase.